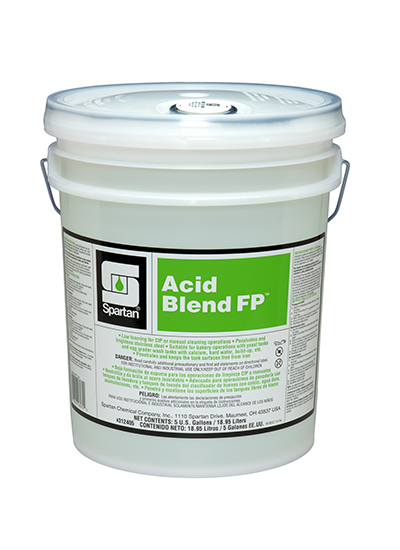 Acid Blend FP is a nitric and phosphoric acid blend used for passivation and to remove iron and other inorganic deposits from tank surfaces. Formulated to passivate and brighten stainless steel tanks Acid Blend FP inhibits the negative impacts of iron residue on beer´s flavor and leaves surfaces sparkling. The low foaming formula is designed for use in manual and CIP cleaning operations.